本文發表於 2008-07-04 at 11:17 下午 且歸類為 出版著作, 林炳炎, 美援. 你可以發表回應於 RSS 2.0 feed. 你可以 留下回應, 或 自你的網站引用. 透過聲音要傳遞歷史是相當困難, 一直思考要怎樣才好, 與李南衡先生敲定7/4美國國慶日讓我有機會, 用美國國歌慶祝美國國慶日, 相信這歌曲會對人有震撼力, 要求聽眾去思考! 最近台灣情勢發展非常詭異與危險, 令人難安, 保衛大台灣的美援(1949-1957) 時期之保衛大台灣的精神消失, 也是寫此書來向台灣大眾呼籲要保衛大台灣!! 美國正是保衛大台灣的主角, 但台灣人要有保衛大台灣的決心與思考!! Sorry too long time to write to you. Yesterday was the Birthday of U. S. A. I was invited to the radio of Green Peace to introduce V.S. de Beausset’s Order of Brilliant Star. 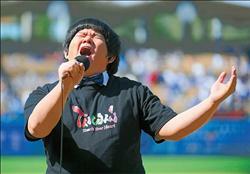 Please listen the web https://pylin.kaishao.idv.tw/wp-content/uploads/2008/07/twnations-greenforumoflee200874881.mp3 (I suggest 5 minutes is ok.) and watch https://pylin.kaishao.idv.tw/?p=649#more-649 then write some word to my blog to say hello to my friends. On the air, I say: Hi, Val and Connie, It’s Pin-yen Lin speak on the air and try to use Taiwanese to introduce your contribution during the period of U. S. Aid to Taiwan. After three times of call on your home, I wrote a book V.S. 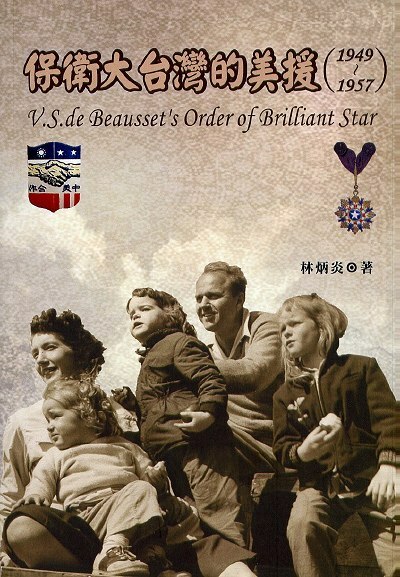 de Beausset’s Order of Brilliant Star. Then I talk something about V.S. de Beausset’s Collection and why those materials cannot open to the users. Due to the daughter of Mr. Sun teach at Taiwan University, she do not like those materials open to the users, so the Library cannot open V.S. de Beausset’s Collection. I try to suggest that you or your Mother or Father write a letter to ask the Library of Taiwan University to give a copy of V.S. de Beausset’s Collection for memory. Otherwise, V.S. de Beausset’s Collection will be disappear. 韓戰發生前21天，為何會發生此事？它很明白告訴我們，台灣不在鐵幕內。其次，應該質疑新聞並沒有說與本書主人有關，作者怎麼可以寫？西北航空為了免除康妮往返台北與底特律之勞頓，特闢此航線？西北航空的總部在底特律。康妮算老幾？腦海閃出那樣想法，趕緊寫一封e mail給Lee-Tai，問康妮的家族有無投資西北航空或她與此事有關否。通常這答覆只有「有」或「無」，其中一個字。你們知道Lee-Tai的答覆如下: I talked to her about the Northwest Airline thing you mentioned and she does not remember any thing about it. 她用不記得來回應，但他們夫婦的記憶力非常好，我不能不寫下來。（康妮的家族在1776年買下大島，是底特律的大家族）所以美國援助台灣與韓戰沒有關係!!!! 請您給我V.S. de Beausset女兒的e-mail網址,我也要懇求她向那台灣大學圗書館施壓,得要把真相資料流下來,曝曬在陽光下,讓各界有志人士研究討論!!把歷史真相還給台灣全民,可恥的是Mr. Sun女兒還有臉在Taiwan University講課!